Cerise Millicent or Baby Miles will only be turning one-year-old in December of this year, but as early as 10 months, she's becoming a fashionista already. Unlike other babies who gets irritated with garter headbands on their heads, Miles simply adores them. She enjoys being dressed up and likes matching her outfit with an accessory--be it a necklace or a pair of shoes. Psychologists says that even babies feel the need to express themselves, I guess in Miles' case, that would be it. 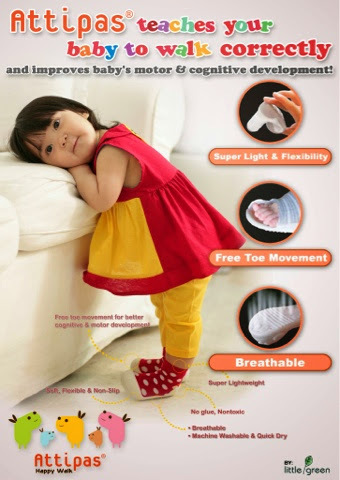 A recent opportunity arose to review a pair of über cute Attipas ergonomic toddler and baby shoes. I didn't know anything about them at first, but after seeing fellow mommy bloggers' received their pairs, I started to read a little about them and began to love their concept. Attipas Shoes did not only look stylish, but they are essential shoes specifically designed to be lightweight like socks, but with far more support. It's like having a two-in-one product because when you look at it, Attipas Shoes has a built-in socks inside. They come in so many colours and styles. It was tough to choose because they all looked so fantastic. 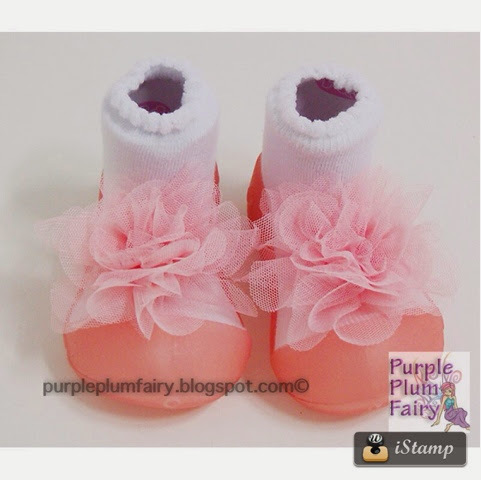 But Miles, being the girly baby that she is would certainly love Attipas Shoes' Pink Corsage. If your little one isn’t walking yet, it’s likely you dress his or her tiny feet in a good pair of socks, rather than shoes. As they begin to take their first steps, as Moms, it’s important that we invest in a good pair of pre-walker or toddler shoes for our babies–shoes that will grip and support, without the need to put a hole on your pockets. Attipas Toddler Shoes are ergonomically designed and promise to ‘support toddlers’ first steps and thereafter.’ Lightweight and durable, they look something of a cross between a sock and a shoe – a rubber sole that provides grip, with a breathable, colourful sock helping to support the ankle and, best of all, ensure the shoes actually stay on. Babies at Miles' age still usually hates wearing shoes, but with Miles, it wasn't really a problem at all. We didn't struggle much to introduce her to Attipas Shoes when she started to pull up and work on her walking. The only problem I've had was, I've gotten a shoe size bigger than her supposedly size. I didn't bother to exchange them anymore since babies' feet would often grow an inch each month and I know that by the time Miles turns 1, the pink corsage shoes would by then fit her perfectly. When Miles first tried on Attipas Shoes, I was kind of expecting that the shoes would somehow slow her down. But just like any happy baby in a comfortable pair of shoes, she would run, climb and stomp her feet. The shoes' lightweight material does all the trick. She had q great time running away from me. One thing I've noticed too about the Attipas, Miles would normally pull her shoes off the minute we've had arrived home coming from somewhere. But surprisingly with Attipas, it had taken another hour before she had agreed to take her shoes off. Decked out with her lovely Attipas shoes, our mini reviewer was able to grip the floor well enough to scoot around the room – resulting in smiles all around. A hot, humid day, it was good to see the shoes also lived up to their claim of being breathable, with fine holes in the sock fabric there to release heat and prevent clammy, sweaty feet. There's no denying these booties looked somewhat unique. Slipped on, however, and the trendy colors and designs creates a more fabulous look to any toddler’s outfit. There's a roomy toe area at the front end of the shoes which has been designed by Attipas to allow sufficient room for the toes to wiggle and move – something that will apparently aid cognitive and motor development. With their size ranging from newborn to 40 months, Attipas shoes are available in sizes from small to extra large, and a size guide on their website makes selecting the optimal fit for your toddler easier. Overall, the shoes are great. Apart from being really cute and funky, I'm glad that Attipas shoes aren't chunky at all. They offer toe and heel protection which is a lot better when compared to soft soled pre-walkers. Attipas is lightweight, lots of colors and designs to choose from and best of all, they are machine washable. That last part alone makes it truly a winner as far as I'm concerned. 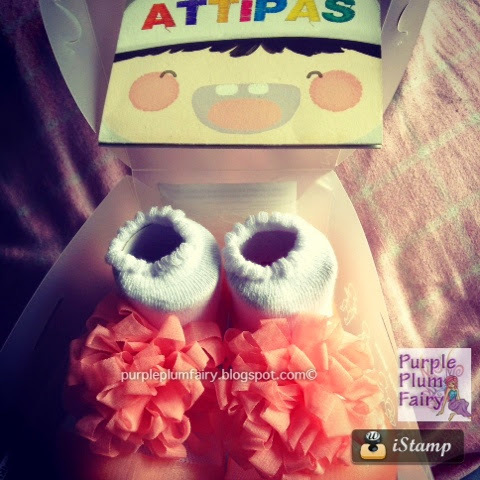 I'd definitely recommend Attipas Shoes to fellow Mommies out there. Launched in 2011 after seven years of research and development, it’s easy to see why Attipas have quickly become a popular brand in Australia and in other Asian countries. These lovely shoes made for little toes are slowly but surely making waves in the international market. Affordable and funky, practical and safe – what more can you ask for? 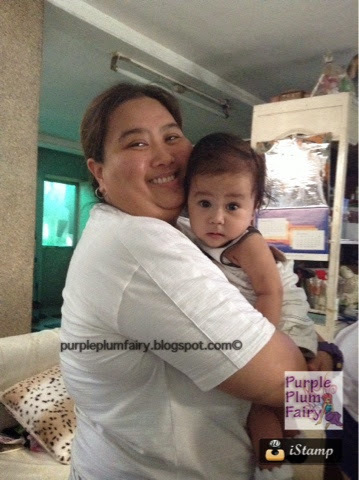 Special thanks to Mommy Blogger Philippines for the opportunity to review this awesome product.